Born in Leamington, Warwickshire, England, Turpin is considered one of the most exciting personalities in British boxing. He won the 1945 British Amateur Boxing Association (ABA) welterweight title the 1946 ABA middleweight title. As a professional, he won the British and European middleweight titles before scoring a major upset over Hall of Famer Sugar Ray Robinson on July 10, 1951 to win the world title. The victory over Robinson made the hard-punching Turpin a national hero. Turpin lost the title to Robinson in the rematch, but rebounded to TKO Don Cockell in 11 rounds to win the British Empire light heavyweight title. Following a win over Walter Cartier, he lost a 15-round decision to Hall of Famer Bobo Olson for the world middleweight title on October 21, 1953. 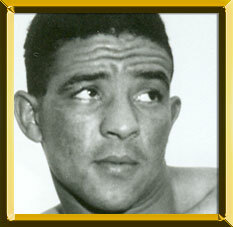 Turpin, who also won the British Empire middleweight and British light heavyweight titles in his career, boxed until 1964.